EXTRUSION COATED YARNS, or “braid yarns,” are typically designed for the braiding of harnesses for the protection of electrical wire assemblies. EY Technologies constructs its extrusion coated braid harness yarns with high tenacity, synthetic multifilament core yarns. The tensile properties of the extrusion coated core yarn are essentially unaffected by temperatures up to 300° F (150° C). 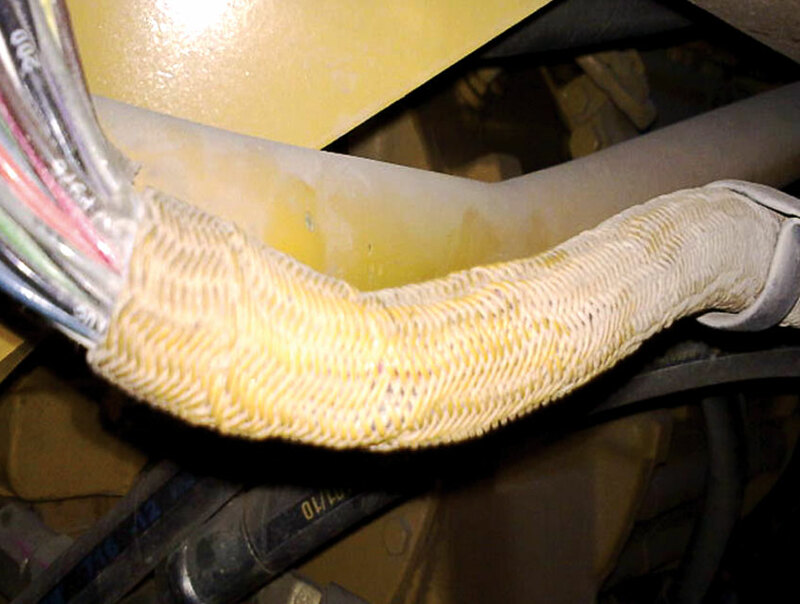 The extrusion coated braid yarns are tolerant to most engine fluids to which a braided harness may be exposed. EY Technologies constructs its standard and high-performance harness yarns upon the basic properties of Polyvinyl Chloride (PVC) compounded with proprietary additives for exceptional weathering performance, moisture and abrasion resistance, cold flexibility, fire resistance with retardance as well as resistance to degradation from oil, grease and engine fluids. PVC also provides a uniform surface for ease of braiding. We also manufacture high performance braid yarns with Thermoplastic Polyester Elastomer (TPE) and Polyvinylidene Fluoride (PVDF) coatings for exceptional abrasion, temperature and chemical stability. Smart Solutions can be developed in order to optimize a product to meet your specific needs. Through an innovative combination of high and low tenacity, monofilament or multifilament core fiber or metal yarns and selected polymer coatings, we are able to deliver a product that can perform under some of the most demanding conditions.